Mobile Repair Services in Charlotte & Surrounding Areas! Finding reliable dent removal services in Mount Holly, NC can often take regular searching. If you have been looking for an auto body shop in the area that specializes in mobile dent repair, working with a company like ours could be the best course of action. When we think of dent repair, it’s common for our minds to go to the idea of a process that could take several days. With the assistance of paintless dent repair, however, you may be able to have your vehicle back to you within just a few hours. The experts at Piedmont Dent Repair can help you with hail dent removal and a number of other solutions that will suit your budget. As long as the zone that is surrounding the dent does not contain any major defects within the paint or scratches, you should be able to get your vehicle back from care within just a few hours. 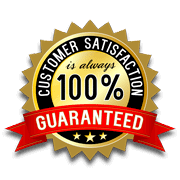 Our services are backed by a 100% satisfaction guarantee. If our team is unable to repair the dent completely to your satisfaction, we will perform another repair until we get it right, or your money back. We can perform repairs on site as part of our mobile dent removal in Mount Holly NC. We want to make sure that our staff can deliver a service that will maintain the value of your vehicle and offer you the utmost convenience. Losing a full day or several days to repairs inside a body shop is not a great way to get your vehicle back in tip-top shape after an accident has taken place. We want to offer the easiest body work in Mount Holly. It’s our goal to make sure that all of our services can be performed to spare you from expensive insurance premium upgrades. We want to deliver efficient services that will keep your vehicle in its best condition. If you need paintless dent removal in Mount Holly NC, contact us today and we can make sure you get the best local repair services around. More info here.